We are proud to announce we have recently joined an elite group of contractors in the UK that has successfully completed a Passivehaus development. 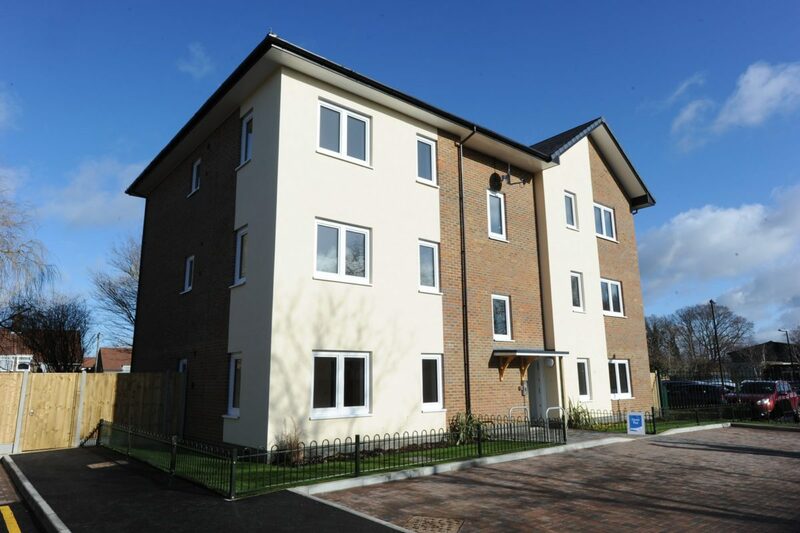 The development at Gales Place, Crawley, is the first of its kind for Westridge Construction in partnership with Crawley Borough Council. Passivhaus development systems ensure that buildings are as energy efficient as possible. The buildings have high insulation levels, high performance doors, windows and air tightness, which are so efficient that a central heating system is not required in the building. It exceeds the building regulation minimum standards with triple glazing, 300mm wall insulation and a ventilation system providing filtered pre-warmed air. The low energy use of these Passivhaus homes aims to reduce fuel poverty by providing low bills for residents. The high construction standard quality of these dwellings will ensure durability and comfort for the future. In order to achieve the Passivhaus accreditation a huge amount of dedication and attention to detail from the team was required. The site team worked very closely with the Building Control inspector, and in order to keep the quality high, over 4,000 photographs were taken throughout the process to evidence this.